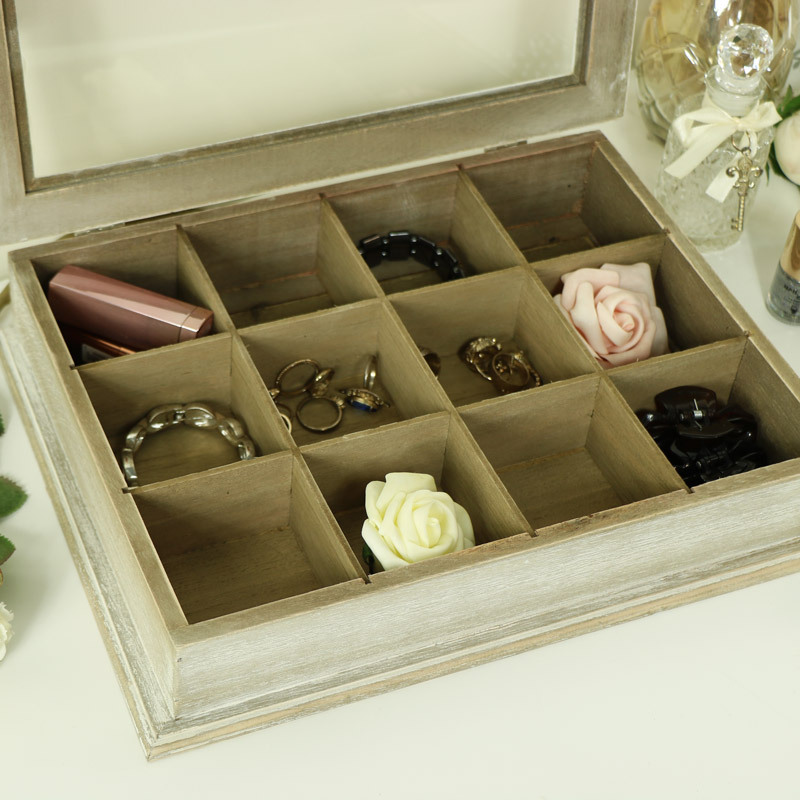 This rustic wooden box complete with it's hinged lid offers 12 little compartments perfect for storing an array of items whether in your kitchen, bathroom or bedroom. 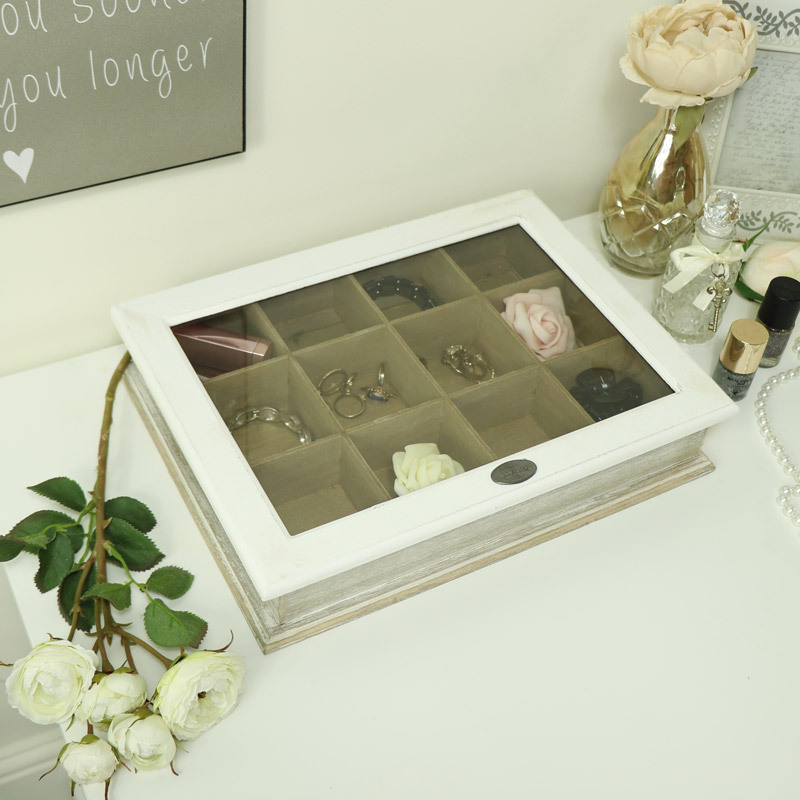 So whether you want to organise your favourite teas, crafting accessories or your treasured possessions and trinkets then this is ideal. 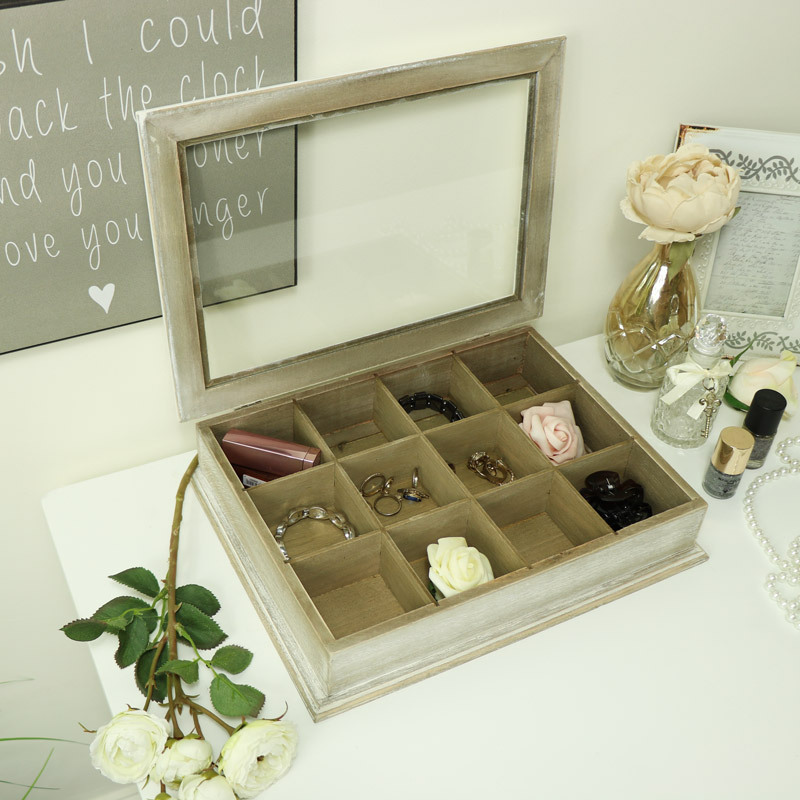 A great gift for a craft lover.